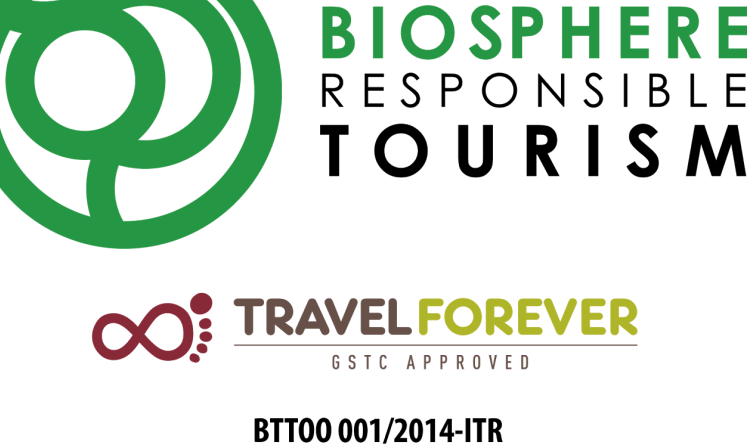 BGB is the world’s first tour operator to meet Biosphere Responsible Tourism Standards. The certification recognises we actively work towards a sustainable development of tourism and that we look after people, cultural heritage and the environment. We believe it is our responsibility to make Barcelona a better city for people to live in and a better city for people to visit. The participation of our team has been essential. We inspire and train our employees to help us provide high quality tourist services and implement best practices in sustainability. We work together supporting social iniciatives, such as the Teaming microgrant group. We have reduced our emissions and noise pollution by using low emission vehicles: our Daily Tours Bus uses a Euro 5 engine and we prioritize hybrid taxis. We use a whisper radio-guide system to ensure everyone can hear the guide perfectly while we protect neighbours and passersby reducing noise pollution. We promote Barcelona as a sustainable destination. Check our private tour on Smart & Sustainable Barcelona. You can also discover another Barcelona with our group Neighborhood Tours: The private City Tour and The Labyrinth Tour, which will take you to enjoy Barcelona’s lifestyle visiting parks, markets and sights where the everyday life goes on. Biosphere Responsible Tourism certifies tourism businesses and destinations that are committed towards the sustainable development of tourism. This label is promoted by the Institute of Responsible Tourism and is internationally recognised by GSTC, the Global Sustainable Tourism Council.